Reno, Nevada, may be known as the “Biggest Little City in the World,” but the City also has the title of the “Biggest Little Community in the World.” Since our identical twin 4 year old twins, Addi and Cassi, received a devastating medical diagnosis of Niemann Pick Type C — otherwise known as “Childhood Alzheimer’s (featured on ABC’s Good Morning America) – we have received an outpouring of support from the Reno community to help us fight this fatal disease that robs children of their ability to walk, talk and eat. 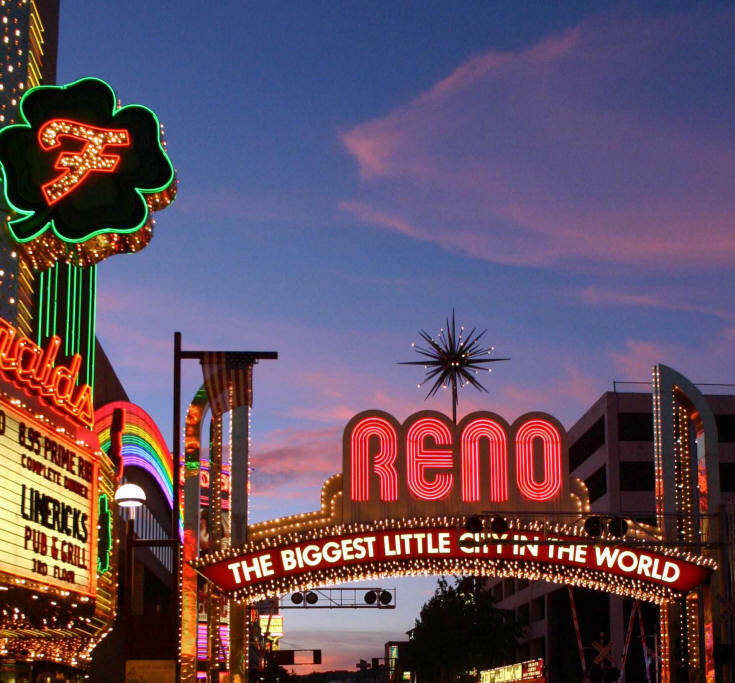 On May 10th, 2008, the Reno community came together for the “Moonlight Garden Gala – A Night Of Hope and Miracles” at the Downtown Reno Ballroom to help raise money for research into this devastating and mysterious brain disorder. Millions of American’s are facing Alzheimer’s disease and every 71 seconds someone in America develops the disease. NPC children like Addi and Cassi may hold important clues to helping researchers understand brain disorders of all types. No person, whether young or old, should face death of the mind before death of the body and treatments and cures need to be developed. Here are some of the amazing events that have taken place in recent weeks in Reno to help raise money and awareness of brain disorders and "Childhood Alzheimers." Claim Jumper Fundraiser: On April 24th, Claim Jumper hosted an evening to raise money for the Addi and Cassi Fund with 10% of all proceeds earned that evening going to the fund. Thanks to Cara Hamm for organizing the event — we raised $2,358.33! Sierra Strength and Speed: Joe Dibble, one of Nevada’s leading dietitians and nutritionists, donated 100% of the proceeds from “Wednesday’s Workout Evening” at the WB Baseball Softball Training Center. Everyone worked up a sweat, including Addi and Cassi, and Joe and his volunteers helped raise $1,345.00! On Thursday, May 8, 2008, Bishop Manogue Catholic High School held a "Miracle Minute" to raise funds to aid in the research necessary to find a cure for Niemann Pick Type C.
A block of rooms is reserved at a discounted rate at Circus Circus Hotel for our event. Circus Circus is attached to The Eldorado and The Silver Legacy via indoor bridges. These three hotels form a “complex” that is directly next door to the event site (new downtown Reno Ballroom) . Circus Circus is currently offering rooms for Saturday Night ONLY (many hotels are require a 2 night minimum). NOTE: You can upgrade your room to a mini-suite for an additional $30/night on a first come first serve basis. Please tell reservations that you are calling about group code: “IADDI”. If they can not find the group code please let them know that you are part of the “Addi and Cassi Hempel Fund” Gala on May 10th. On Saturday, May 10, 2008, 1000 friends and family joined us for a sold out star-filled night at the new Downtown Reno Ballroom to help find a cure to “Childhood Alzheimer’s” (Niemann-Pick Type C), a rare, progressive and fatal neurological disease that is robbing children of all ages around the world of their ability to walk, talk, or even remember the name of their favorite stuffed animal. The event was a mystical evening of hope, wonder and childhood dreams as we honored our four-year-old twins, Addi and Cassi Hempel, and children all over the world who suffer from Niemann Pick Tyep C. Our guests will be treated to an elegant evening with a celebrity performance by Meilnda Doolittle and Terry Fator. We held silent and live auctions, uplifting music in this enchanting atmosphere and transformed the ballroom into a beautiful moonlit garden, designed in the spirit of a child’s imagination, with tree-lined paths, twinkle lights, fireflies and a fountain of wishes.